Lately, brides have been kicking their wedding style up a notch with a new, out of the box trend. If you’re thinking neon dresses, think again. We’re talking about sparkle and metallics. From the wedding invites, to the table settings, to even the bridesmaid dresses, sparkle and metallics are taking over the wedding scene and we like it. 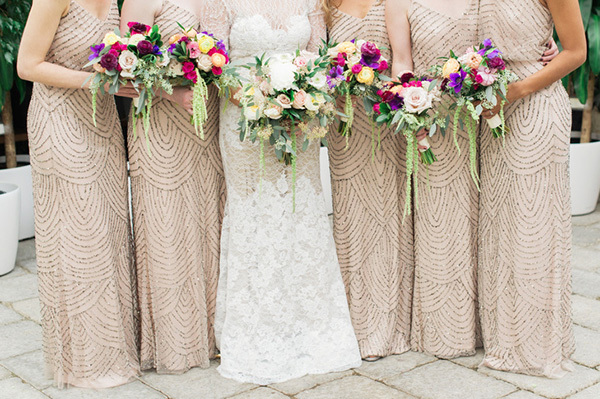 Though this wedding image doesn’t appeal to all brides, a bridal party in metallic and sequined dresses adds a bit of flare and glamour to a traditional wedding. 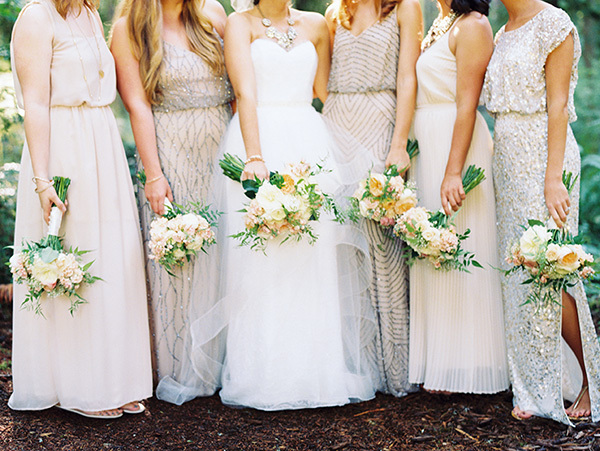 The dresses are usually in light hues, such as champagnes, golds, rose golds, and silver. Colors that are bolder and brighter can take your wedding look from elegant and glamourous to tacky and overwhelming. This wedding look is perfect for the bride who likes to add a touch of sparkle, glitz and fun to her usual wardrobe.